Experiences designed around the human voice will fundamentally improve the way people use technology. The Alexa Fund—named for Alexa, the cloud-based voice service that powers Amazon Echo—provides up to $100 million in investments to fuel voice technology innovation from developers, manufacturers, and start-ups of all sizes. Today Amazon announced a new recipient of the Alexa Fund, Invoxia. 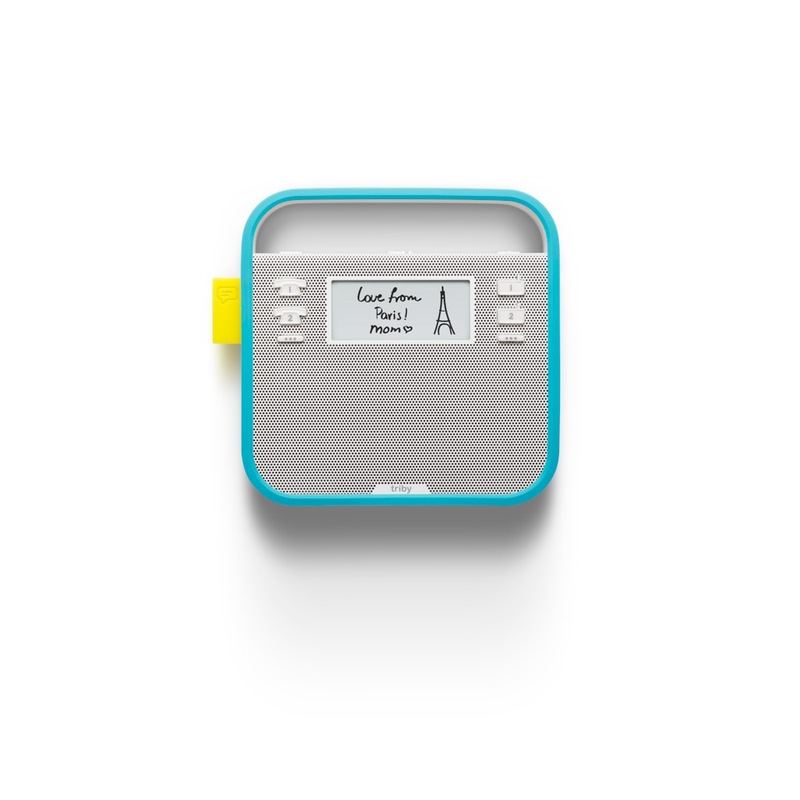 Invoxia is a France-based tech company and creator of Triby, a new Wi-Fi connected communication device that lives in your kitchen. Triby magnetically sticks to your fridge and can play music, make calls, and display messages. Invoxia will work with the Alexa Skills Kit and Alexa Voice Service to integrate Alexa into Triby, so customers can simply say things like “Alexa, ask Triby to call mom.” Triby will be the first third-party product to integrate Alexa with far-field voice capabilities. Learn more about Invoxia and Triby at http://www.invoxia.com/en. Invoxia joins 10 previously funded companies: Petnet, Musaic, Rachio, Orange Chef, Scout Alarm, Garageio, Toymail, Dragon Innovation, MARA, and Mojio. Beyond financial support, the Alexa Fund builds on Amazon’s track record of helping innovative individuals grow ideas into successful products and businesses. With established business and technology expertise, Amazon can help take ideas from initial concept to the marketplace by offering tools such as early access to SDK capabilities, hands-on development support for hardware or software, enhanced marketing support on Amazon.com, placement at Amazon showcase events, membership in AWS Activate, and more. Tell us about your idea.